If you live close to a LEGO store or want to purchase from the LEGO online store, sign up for the LEGO VIP program. This is a free rewards program where you earn $5 for every $100 you spend. Plus, you will get access to special promotions and store events. It is a great way to earn a little bit if you are going to shop here anyway. 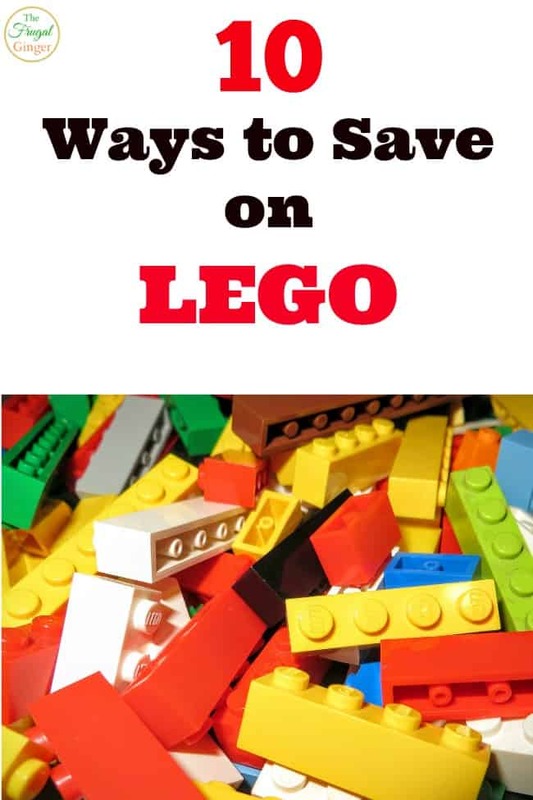 You can shop the LEGO store online and check out the Steals and Deals section. They will probably have more variety then what you will find on sale in the actual stores. I’ve seen some items for over 50% off. It is worth checking periodically. 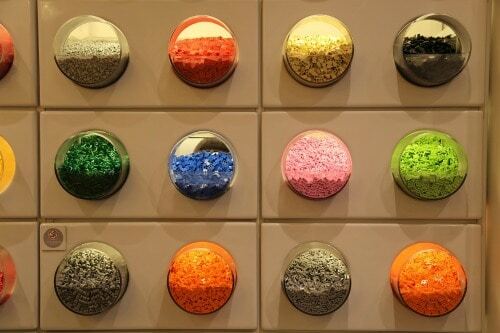 If your child isn’t picky about a particular LEGO set, you can just buy a cup full of bricks from the wall of bricks at the LEGO store. Make sure to put the bigger pieces on the bottom upside down and fit the smaller ones inside of those so you can fit more in your cup. Fill the cup all the way to the top to really get your money’s worth. This is a great way to just add to your collection without having to pay for an expensive LEGO set. I have found some great prices on LEGOs at the big box stores like Target and Walmart. They will usually have a big toy clearance event around January and July where they are trying to move inventory. I’ve seen sets marked as much as 70% off! Target has the REDcard where you can save an extra 5% on all purchases and free shipping. 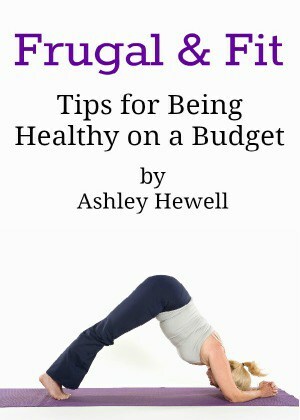 There is also the Cartwheel app that has all kinds of discounts for various items. I have seen discounts on specific LEGO sets as well so make sure to check it weekly. Walmart usually has some great buys around Christmas time where you can bundle different sets together. This makes for some great savings! Black Friday is usually a great time to find deals on LEGOs at both of these stores. Use any in ad coupons along with the REDcard, Cartwheel app, and more tips listed below to really score big! Don’t underestimate Amazon when it comes to getting great deals. If you have Amazon Prime, you will already be getting free shipping. Always check the LEGO website for the suggested retail price so that you can see if Amazon, Target, or Walmart have significant savings. With Amazon, you will get the best deals on the newest sets. The more collectible and hard to find the set is, the more expensive it will be. A lot of people don’t think about Barnes and Noble when it comes to LEGOs. I have gotten some amazing deals here though. You can get a Barnes and Noble membership for $25 a year. This will give you 10% off every LEGO (and any other) purchase. You get 40% off hardback books. Plus, I have heard that they periodically send out high value coupons for anywhere for another additional 20-40% off an item. Twice a year, Barnes and Noble will have a big clearance sale, usually in January and August. Things are marked down to 75% off! I saw a bunch of toys and LEGO sets marked down the past few times I have gone, I’m sure there were more that were there before I arrived. If you want to take your chances and wait, the sale will eventually go on and they will mark everything down to $2! I’ve scored some amazing deals at the 75% off price, most stuff is gone when it gets down to $2 but it is worth checking out! If you are going to be shopping online at ANY of the stores listed above, make sure you shop through Ebates to save even more! You will get the following percentages of cash back: LEGO store (2.5%) Target (2%), Walmart (1%). That is just extra cash right back in your pocket without having to do anything extra. Plus, if you are a new member you will get a $10 bonus just for signing up and making your first $25 purchase from any store! You can also use some discount gift cards to add even more to your savings. You can get them for any store: Target, Walmart, Barnes and Noble, and LEGO. Pay with them just as you would cash! Use them with any coupons, reward programs, or sale prices to really save. I like using Raise and Cardpool to get my discount gift cards. Cardpool has the better discounts and they offer free shipping but use whichever works for you. If you live near a store, check out the event calendar to see when they will be offering free building events. 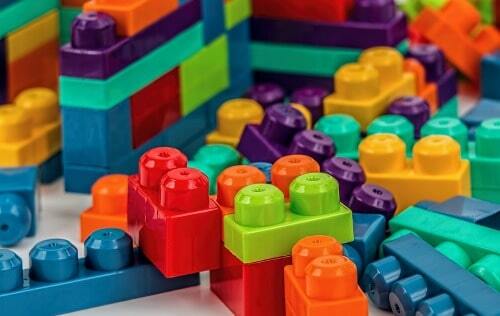 This is a great way to get out of the house and meet other kids that are interested in LEGOs. You usually get a few new pieces that you can add to your LEGO collection as well. The events are usually around a holiday or special occasion. These will be harder to come across but don’t underestimate a good yard sale. You can find some real gems. I have seen people selling trash bags full of LEGOS that they just don’t want to deal with anymore. My mom got my daughter a big wagon full of the LEGO Duplos for about $10! Just check the pieces and make sure they are holding up well, they usually are, and throw them in a mesh net and run them through the dishwasher to get them real clean. I wouldn’t pay more than $5 for a pound of used LEGOs. This is great if your kids are just getting into them and you want to see if they will really play with them before you go out and buy an expensive set.